The aim of this modern nonlinear conference is to publish original papers on all topics related to nonlinear dynamics and applications in fields such as, electrical, mechanical, civil, chemical, and other systems. The contributions concerned will discuss a practical problem, the formulating nonlinear model, and determine closed form exact or numerical solutions. 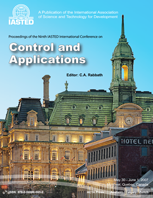 Topics to be covered by this conference include, but are not limited to: * Nonlinear Dynamic Stability * Bifurcation * Chaos * Perturbation Techniques * Fluid Mechanics * Applied Mechanics * Classic Control Systems * Intelligent Control Systems (Fuzzy, Neural, Genetic, etc.) * Fractal Order Systems * Power Systems and Energy * Electrical Machines * Power Electronics and Machine Drives * Security in Communication Systems * Nonlinear Control.